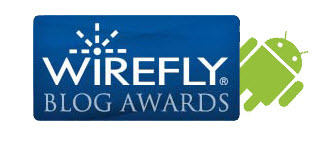 Wirefly’s 2010 Blog Awards: Nominate Droid Life! To nominate your favorite Android blog, just submit the blog name or URL in the comment section below. The nomination period ends April 15. Finalists will be selected by Wirefly staff from the list of nominations. Blogs with the most nominations will be given extra weight. On April 16, 2010, the finalists will be announced and user voting will be opened on the category page to determine the winners. Basically they are running a nomination session until April 15th and if Droid Life makes the cut, we’ll be included in the official battle for top Android blog!